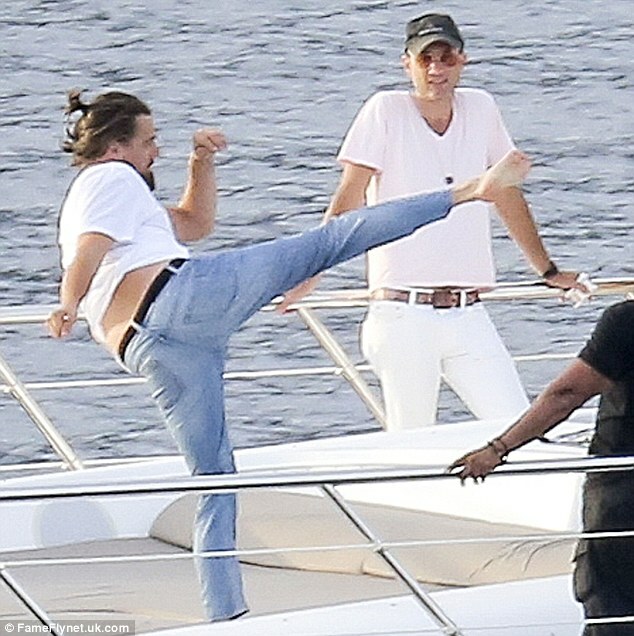 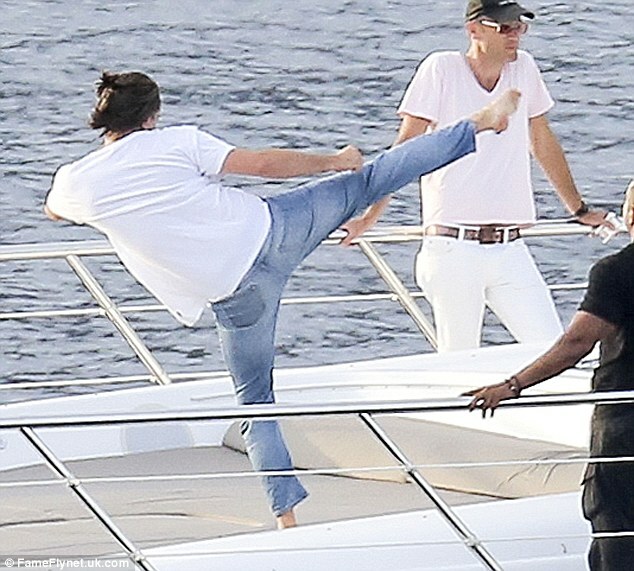 Whilst cruising in the French Riviera, everyone’s favorite superyacht fan Leonardo DiCaprio showed off his best kung-fu moves on board a luxury yacht on a boys’ trip. 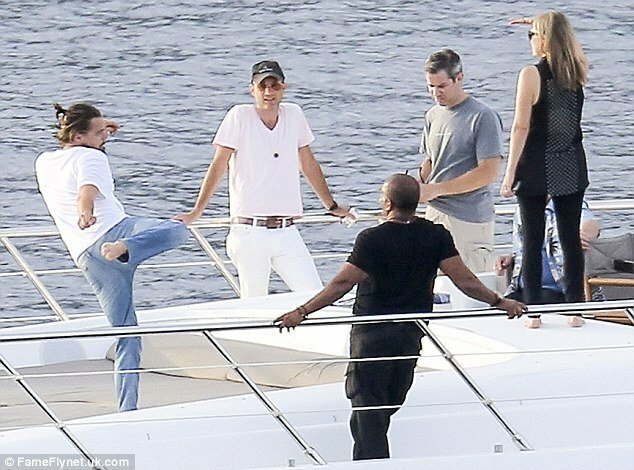 Following a recent trip to Miami to party with models at South Beach, Leo and friends were spotted at hotspots in Nice and St Tropez. 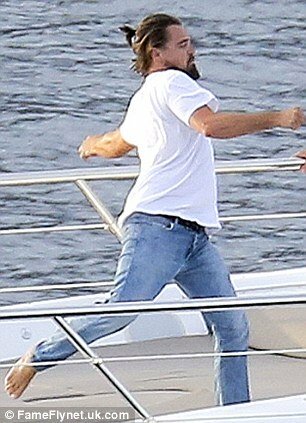 Will Leo ever slow down his jetset lifestyle? 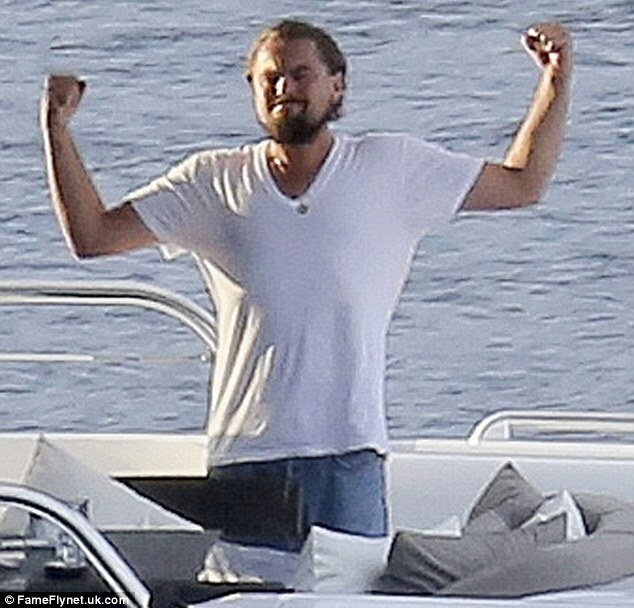 DiCaprio began his career by appearing in television commercials, after which he had recurring roles in TV series such as the soap opera Santa Barbara and the sitcom Growing Pains in the early 1990s. 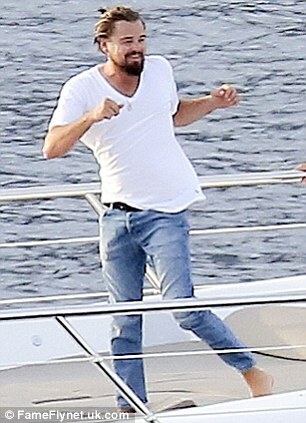 His first major film release was in the film adaptation of the memoir This Boy’s Life (1993).